Security issues and Radiation concerns for Mobile handsets keeping Telecom Regulator on its toes ! In our earlier post, we saw as to how low-cost desi brands have been carving out a niche for themselves in the Indian mobile phone market. Most of this market share has been robbed off from the leading multinational brands such as Nokia and Samsung on account of intensely competitive handset prices with smart features. But, the fact that some of these unbranded desi handsets, that have been sourced from countries like China or Taiwan, which do not conform to radiation standards is of major concern to the Indian government. Indian brands grabbing the market share from the MNCs is a big positive – but there are also some caveats to these low-cost handsets such as conforming to the radiation standards and other regulatory norms regarding screening purposes. Yes, this brings us to another major concern for the government regarding the security concerns from the mobile handset makers that do not comply with the formats that allow monitoring of e-mails and SMSes by the intelligence agencies in India. More recently, the makers of popular Blackberry brand – Research in Motion (RIM) – had been served a warning by the Indian government on account of security agencies not being able to intercept data transmitted through Blackberry services. In latest on this, the Canada-based RIM – which has over a million users of its smart phone in India – has given assurance to the ministry on addressing its security-related concerns soon by allowing monitoring facility in India. Now, coming back to the radiation hazards from mobile handsets, there are strong reports that DGFT will shortly issue new rules that will seek to ban import of phones that emit radiation higher than what is permitted under the Specific Absorption Rates (SAR) standards. In fact, from the current lot of Indian brands – most of which are being sourced from countries like China – many mobile handsets do not conform to the radiation standards stipulated by the International Commission on Non-Ionizing Radiation Protection. Most of these brands managed to float into the country in the absence of import norms. Electromagnetic energy from cell phones and radio towers are categorized as non-ionizing radiation and are generally thought to be harmful to the human health. Also, the sheer number of non-ionizing instruments in our environment has caused concerns about the safety from excessive radiation. Keep call duration short – avoid unnecessary chatting through mobiles. Children should be discouraged from using mobile phones. 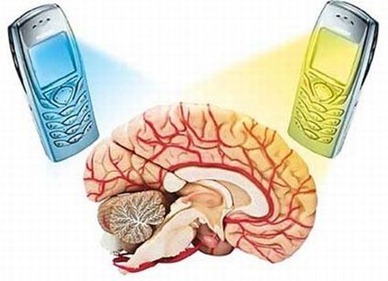 Keep your cell phone away from your body, when not in use. Avoid keeping handsets in trouser pockets – Prefer shirt pockets. Use hands-free and use wireless headsets than wired ones, if possible. Do not use cell phones in enclosed metal spaces. Wait for the call to connect before placing phone next to the ear. Earlier, the government had also banned devices without proper International Mobile Equipment Identity (IMEI) number and expressed concerns regarding the proliferation of Chinese handsets in India. 10 important Pointers to investing in Mutual Funds! Normally the microwaves are generated at the place which we keep near our ears. If we use cable, the mobile set is either in our hand or in pocket thereby keeping the source of microwaves far away from harm. Wireless hands free are more safe/less harmfull then Wired Hands Free ? 1. If long calls can not be avoided, keep the cell rotating between ear to ear. i.e. do not keep the cell at one ear for more than a minute. The purpose is microwaves from the mobiles is assumed to heat up brain and if continuously kept at one ear, that side of the brain gets hot and becomes solid (like an egg)So if alternated between ear to ear, the brain gets time to cool of with the help of blood circulation. 2. Do not keep mobile in the same pocket with cigerette lighter as the waves from mobile may cause liquid in lighters to explode. 3. If you have to keep mobile on shirt pocket, keep it in right pocket (normally we dont have right pockets) as left pocket is near heart and waves may cause disturbance to heart function. As I said the above are my two paisa heard from others. So can not confirm to the accuracy.